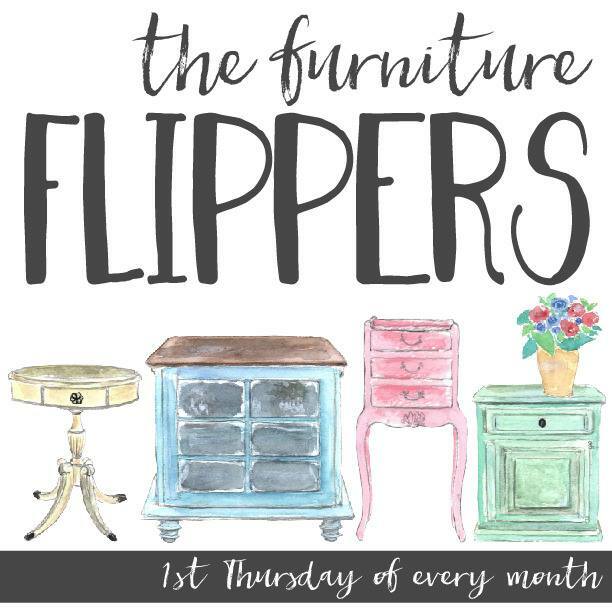 Welcome to The Furniture Flippers- a monthly flipping furniture series hosted by a group of talented furniture refinishing bloggers. Visit us on the 1st Thursday of each month, to see some of the BEST furniture flips and learn some furniture refinishing tricks! These DIY furniture artists will turn old and outdated furniture found at thrift stores, estate/garage sales, Craigslist and even the curb and flip them into stunning furniture pieces. 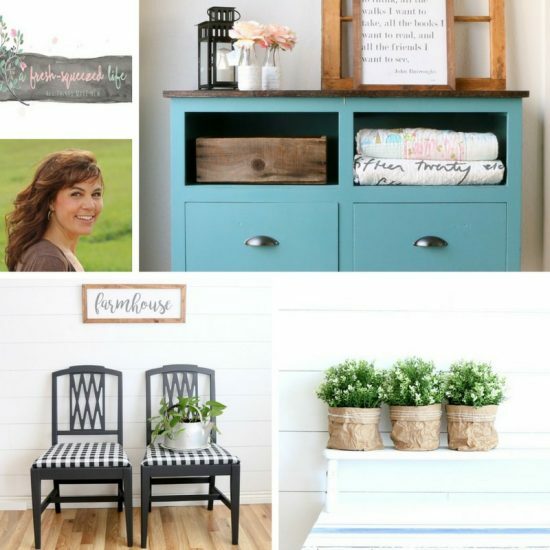 They'll share their DIY furniture tutorials and offer lots of magical inspiration for your next furniture flip! Hello! I'm Carrie from Lovely Etc. where I share ideas for creating a home you love for less. I'm in the process of transforming our dated 1970s ranch into a home I absolutely love using lots of garage sale finds, DIY projects, and plenty of color. I love to share my trash to treasure upcycled projects and DIY tutorials along the way to inspire others to get creative and make the most of the homes they have right now instead of waiting for someday. Hi! My name is Carrie and I'm addicted to refinishing furniture. I'm pretty sure this is a thing because ever since I painted and flipped my first piece of furniture, I've had this re-occuring urge to go back to the thrift store, buy more second hand furniture and fix it up. ;) Paint is magical, friends! Honestly, it is. 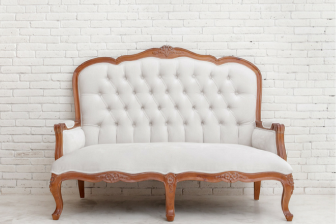 If you haven't refinished a piece of furniture, you really should give it a try! Help yourself to my FREE Furniture Painting Guidebook. It's packed with 9 full pages of tips and tricks for both beginning and advanced DIY-ers! 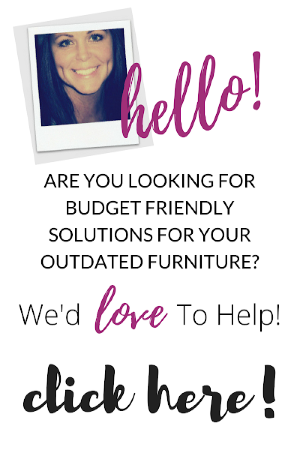 It doesn't have to cost a fortune to style your home and my mission is to demonstrate that, one furniture piece at a time. 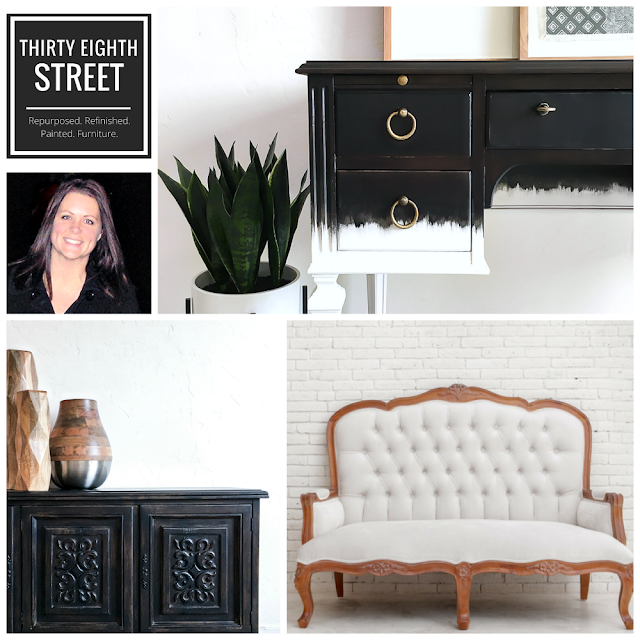 At Thirty Eighth Street, you'll find LOTS of inexpensive furniture refinishing ideas that will both inspire and encourage you to try something new. 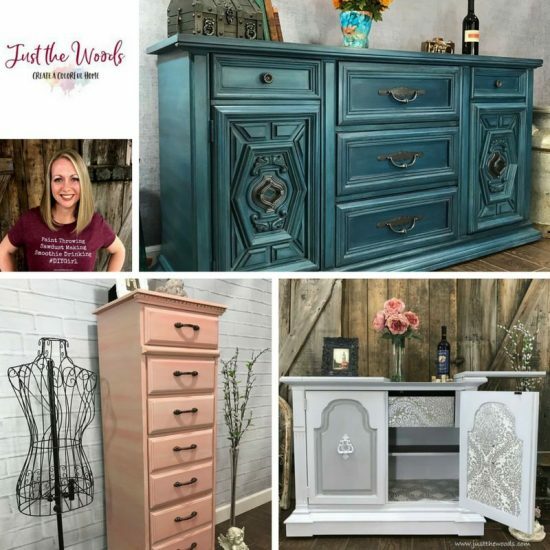 Learn secrets for layering paint and distressing furniture - I'm here to give you high fives and tators every step of the way! 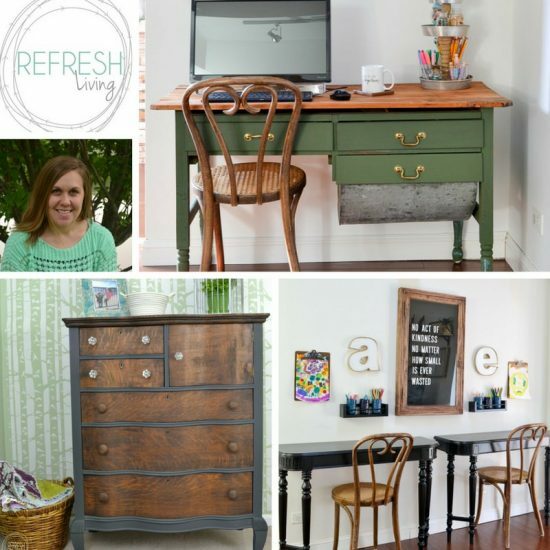 Hi, I'm Jenny, and I'm a vintage-loving, furniture-refinishing, budget-decorating blogger at Refresh Living. 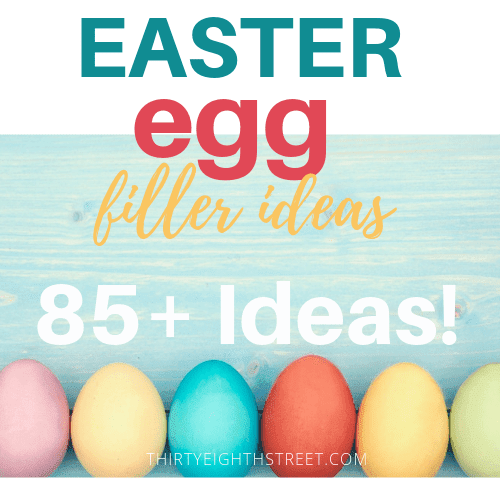 Basically, I love to shop at garage sales, estate sales, flea markets, and thrift stores and find creative ways to repurpose, create and decorate our home on a big-time budget. 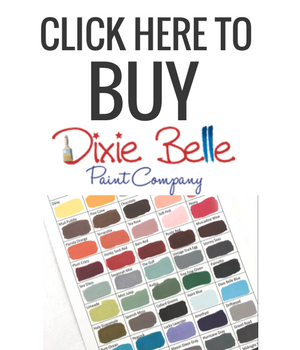 One of my readers' favorite posts is where I spill all my secrets on the best type of paint for furniture. Because, if you love decorating on a budget too, you probably know in the transformative power of paint! I also love to build and make my own projects to keep decorating costs to a minimum. I walked through the steps on how to make wooden signs and how to design and transfer large lettering or graphics to make a sign, which has saved me a ton of money as well. Come on over and say hi! Hey, I’m Kandice – I’m a mom to 2 little ones (ages 5 & 7), I’m a wife to my supportive husband who is often my muscle for heavy items and thief of my tools. I'm a Navy veteran- I served 5 years active duty in an FA-18A fighter jet squadron down in Virginia back in the 90’s. I’m also a retired NYPD Detective. Lastly, I’m the artist behind Just the Woods blog where I share my love for DIY, painted furniture, and healthy eating. 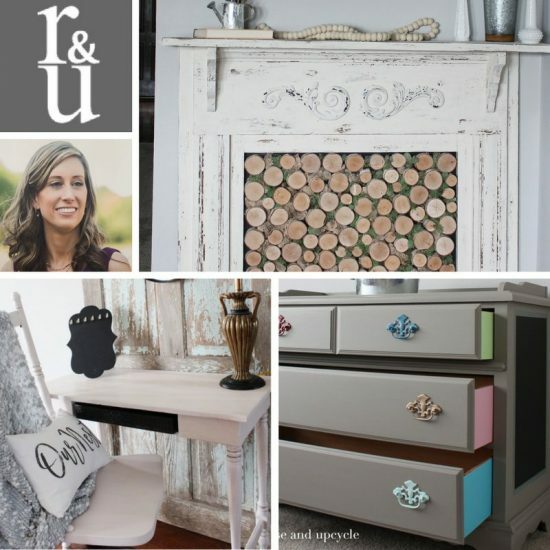 Hi there, I'm Lindsey from Repurpose and Upcycle. I don't have a handyman in my back pocket or mad craftsman skills, I'm just a girl with a desire to create. 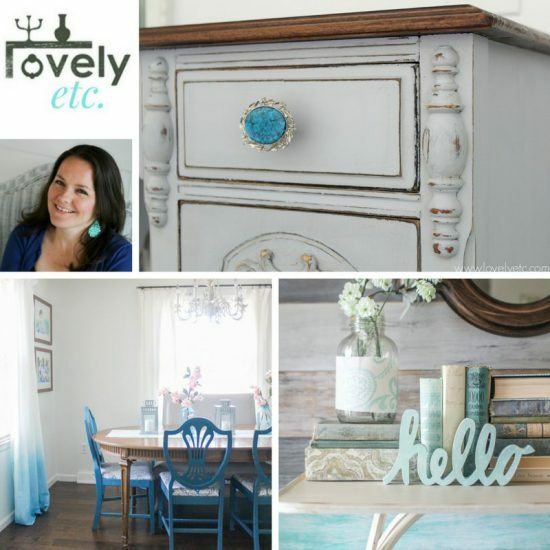 I love a great furniture flip, a budget friendly home project or update and any type of craft. 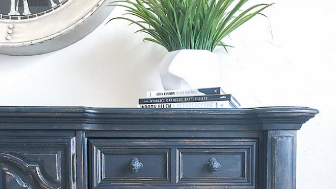 My passion is turning trash to treasure, with an emphasis in modern farmhouse style. Hello! 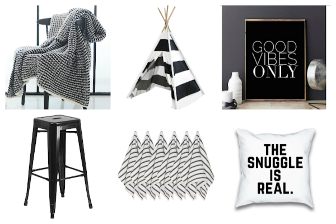 My name is Randi and I blog over at A Fresh-Squeezed Life and I just love chatting about DIY Home Decor on a budget. I live in a small house in sunny Colorado and on most weekends you will find me at yard sales and thrift stores looking for items that have possibilities and a tiny price tag. A coat of paint, a bit of fabric, and some imagination have transformatives powers that have helped in creating a home that is very much "me". And I love showing others how to do it too! Free free to visit me anytime because I love to talk "making things"! 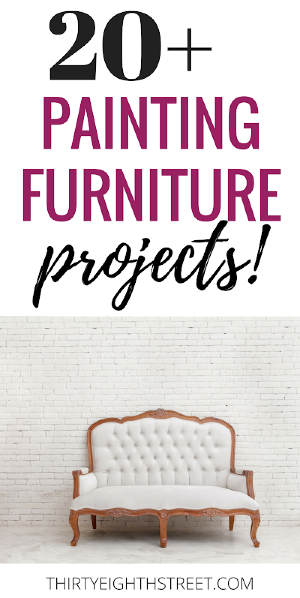 See all of the Furniture Flippers furniture makeovers!